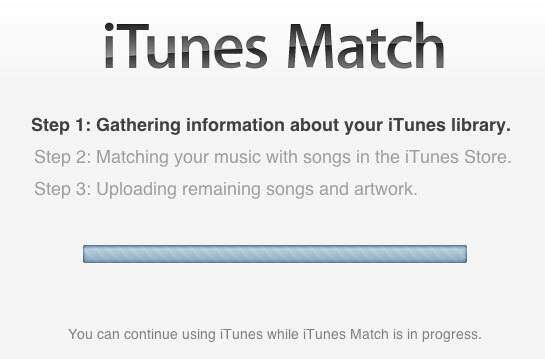 This post is about bit rate and mono files while using iTunes Match. For those of you who don’t know, for a small fee ($25/year) my entire music catalog is moved to the Apple servers and I can play it on up to five devices. The service will sync my playlists and keep track of the play count. The best part is any file that “matches” in their database that is less than 256k in my collection, is easily upgraded with just a few clicks. That’s worth the first year fee alone. The service is limited to 25,000 tracks (I have about 15k) and the audio quality music be a minimum of 96kbps. them to MP3 files with a higher quality. Obviously, the files won’t actually have a higher quality but they will meet the criteria. To keep the files small, I “upgraded” them to 96kbps and then deleted the original files. In the case of mono files, the custom setting had to be adjusted to 192kbps to get the mono files to threshold because of how iTunes handles importing files. It took a few days to get everything converted and uploaded to the Apple servers, but all tracks are now in the cloud. My next project is to get everything synchronized between the two home computers and the one work computer. I noticed some discrepancies between the track numbers on each of the computers. Shouldn’t be too difficult. Seeing a winner with iTunes Match. Are you using this service? What has been your experience?